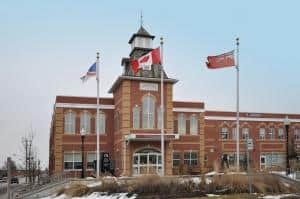 J. J. McGuire was involved with the development team for the New Scugog Municipal Building from the earliest phases until its completion. 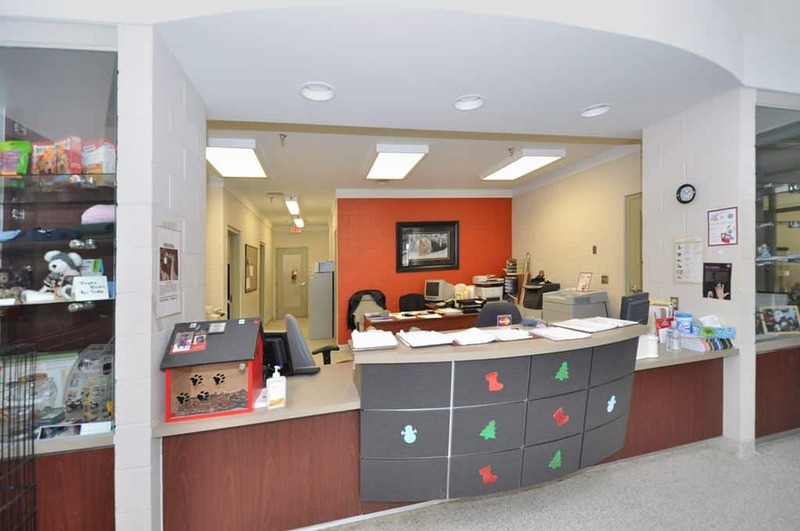 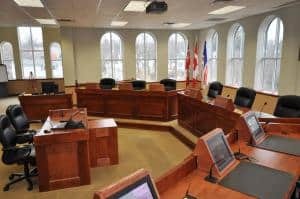 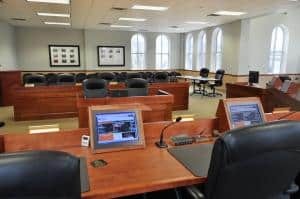 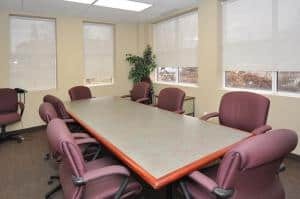 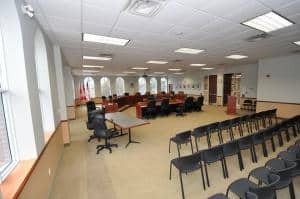 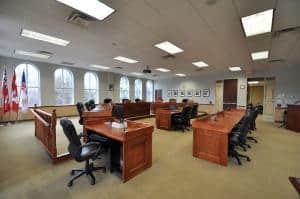 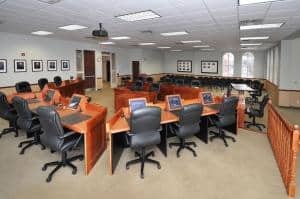 The new Municipal Building consisted of approximately 16,000sf of Municipal office space, incorporating a new Council Chamber and offices for all Municipal departments and Councillors. 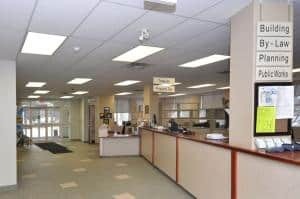 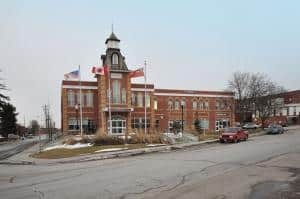 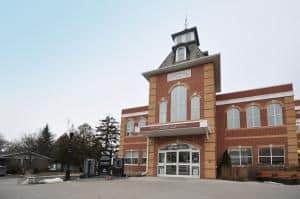 This building was constructed on the same site as the former town hall, resulting in construction having to be performed without disrupting the ongoing daily operations of surrounding businesses, council, and municipal employees. J. J. McGuire also constructed the new commercial addition to this Municipal building. 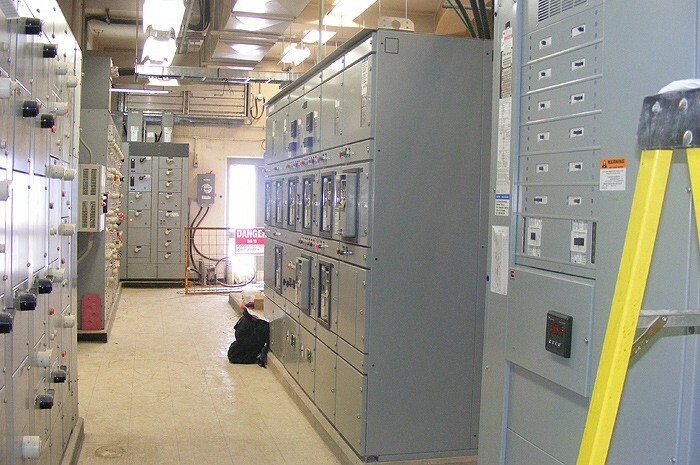 This project helped increase the functioning capacity of the growing region. 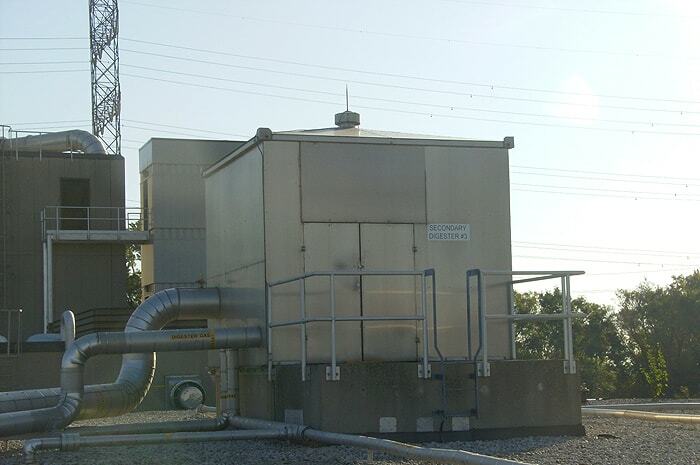 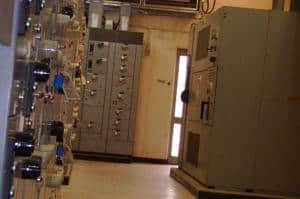 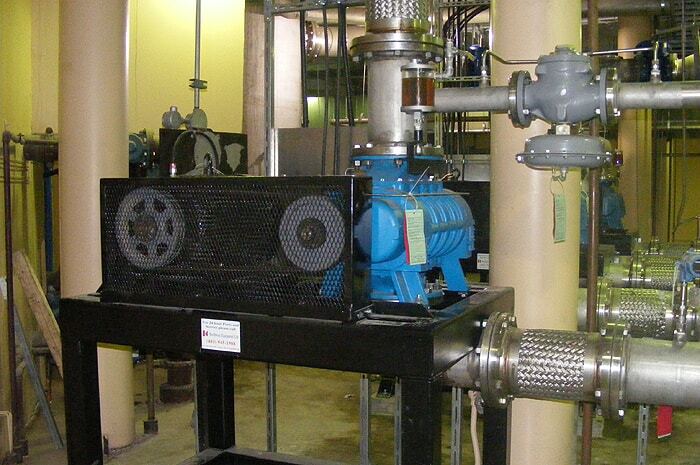 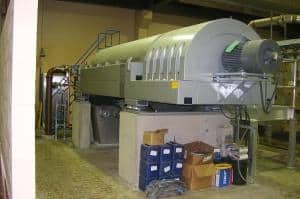 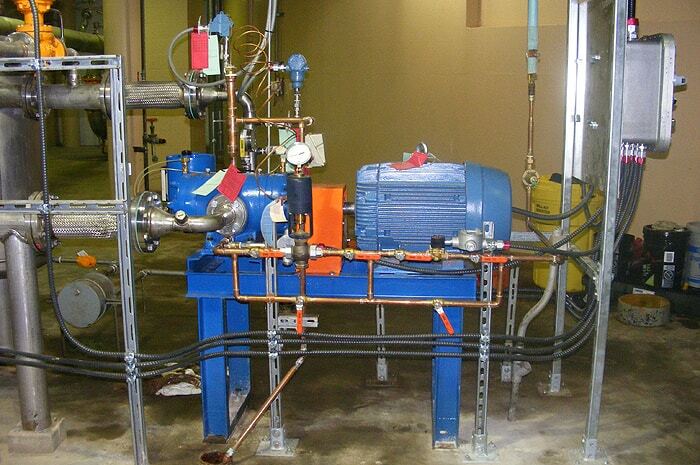 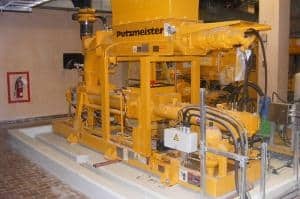 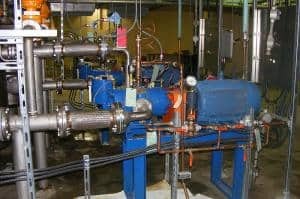 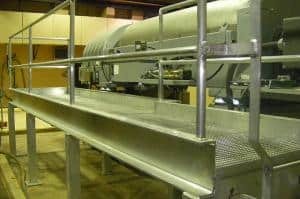 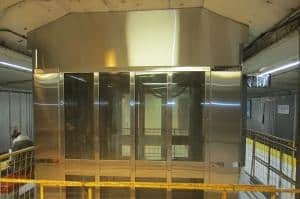 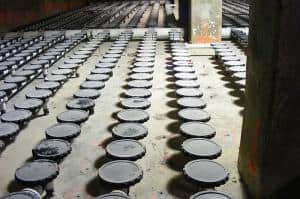 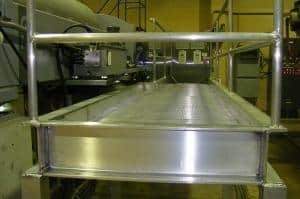 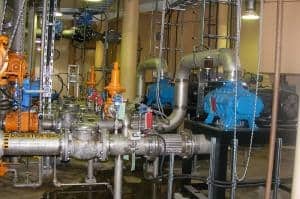 It involved extensive gas compressor and dewatering upgrades as well as the supply and installation of new equipment including SBR Tank, centrifuge polymer systems, sludge grinder, and Scada PLC. 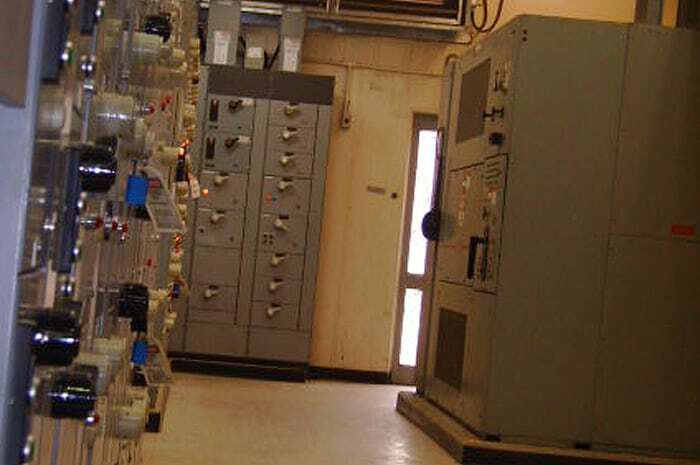 All work had to be completed within the operating facility and with little disturbance to the functioning plant. 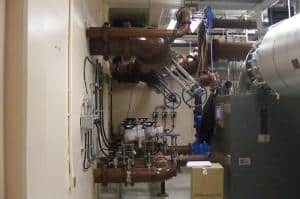 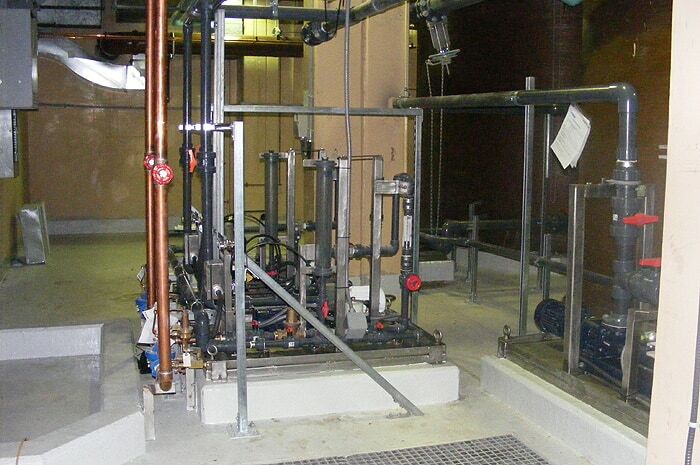 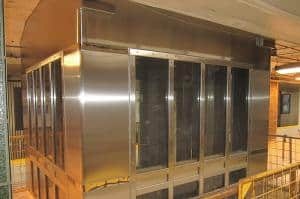 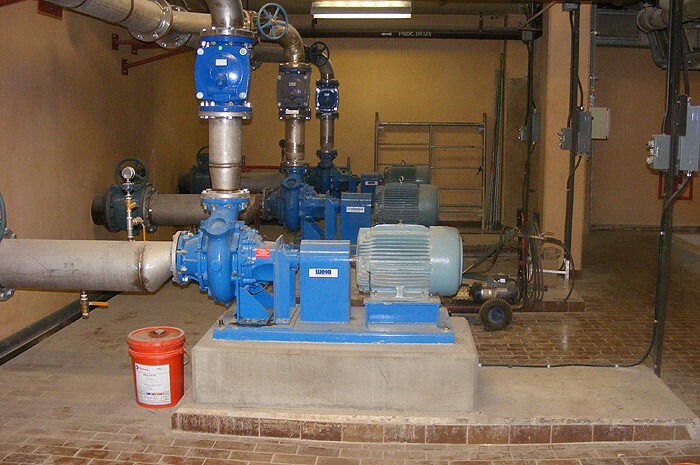 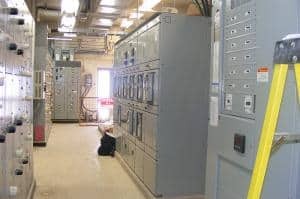 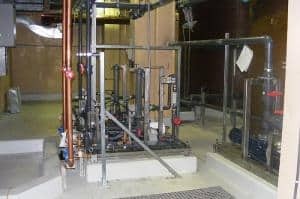 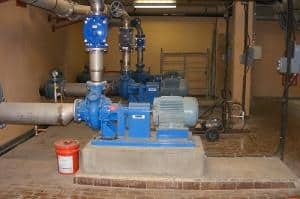 This project also involved extensive start-up and commissioning to ensure equipment was fully functioning prior to switching over from existing systems. 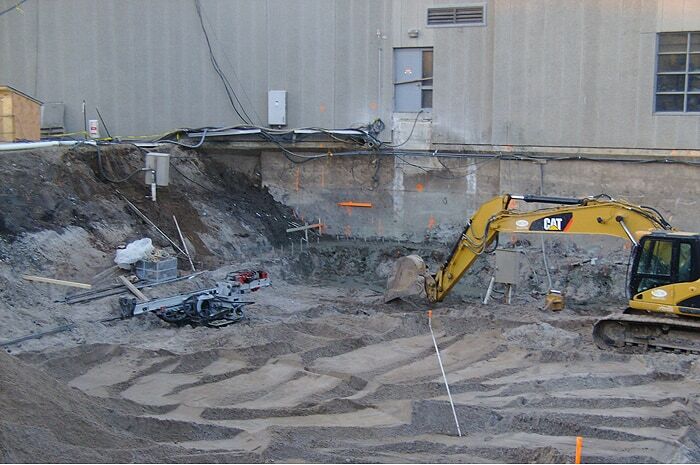 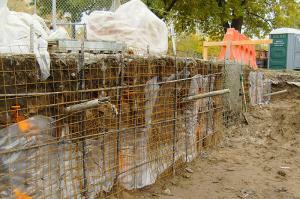 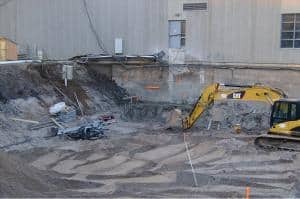 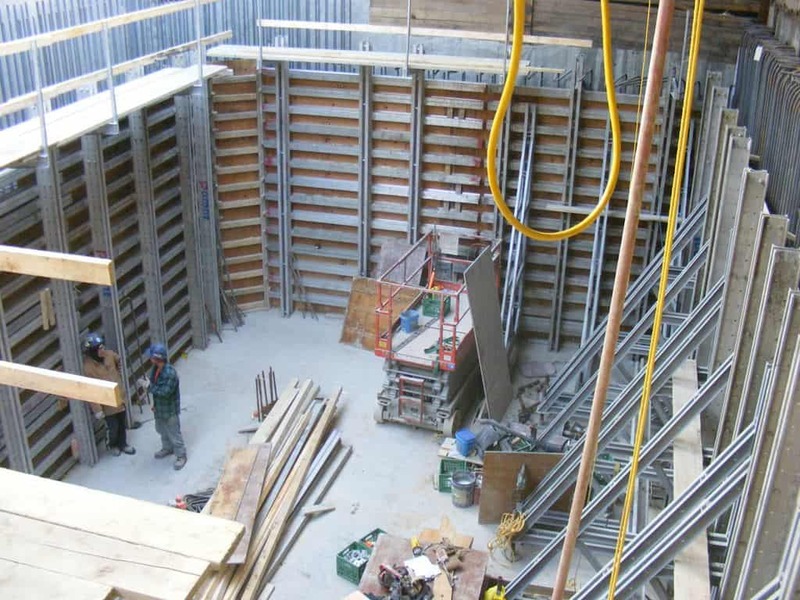 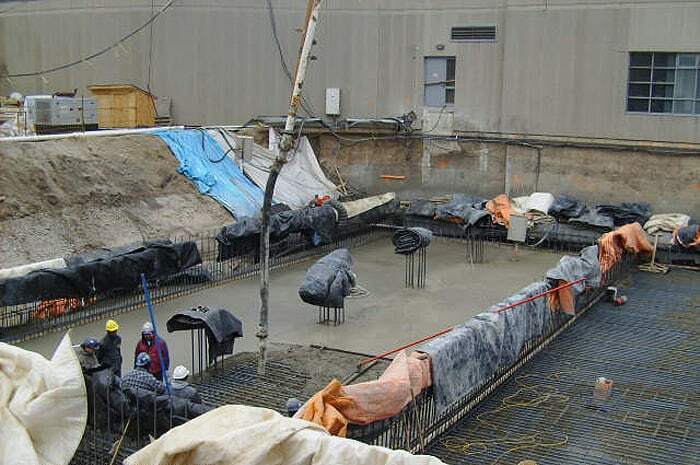 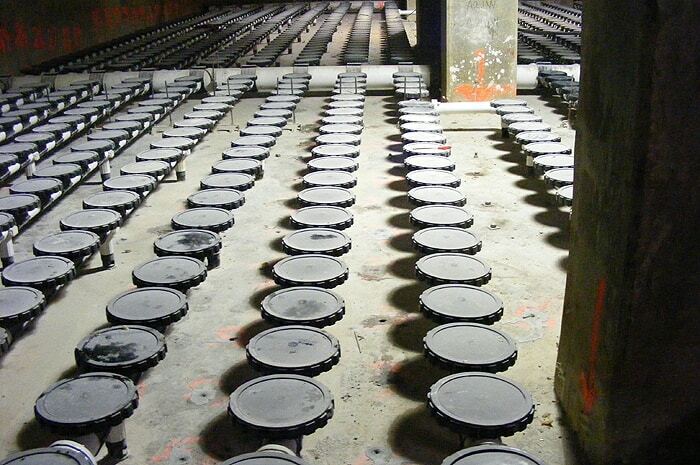 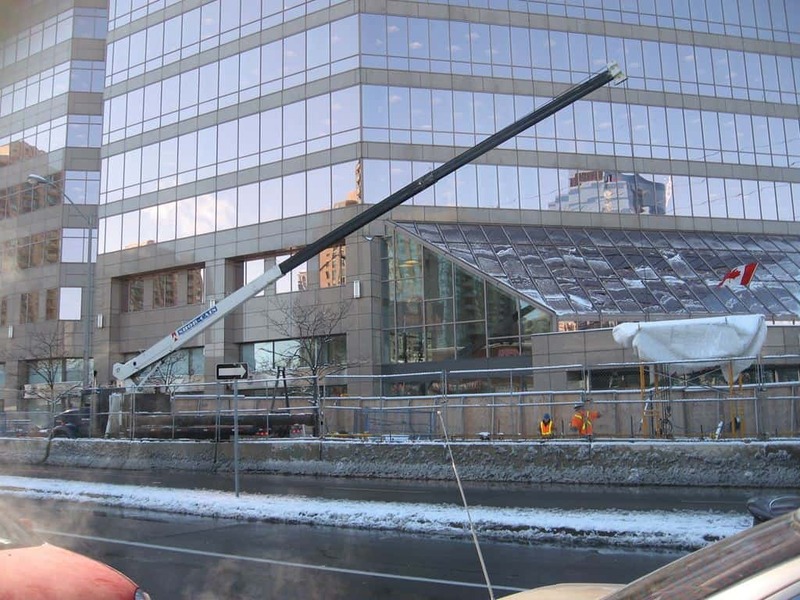 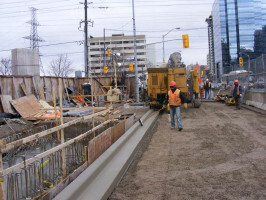 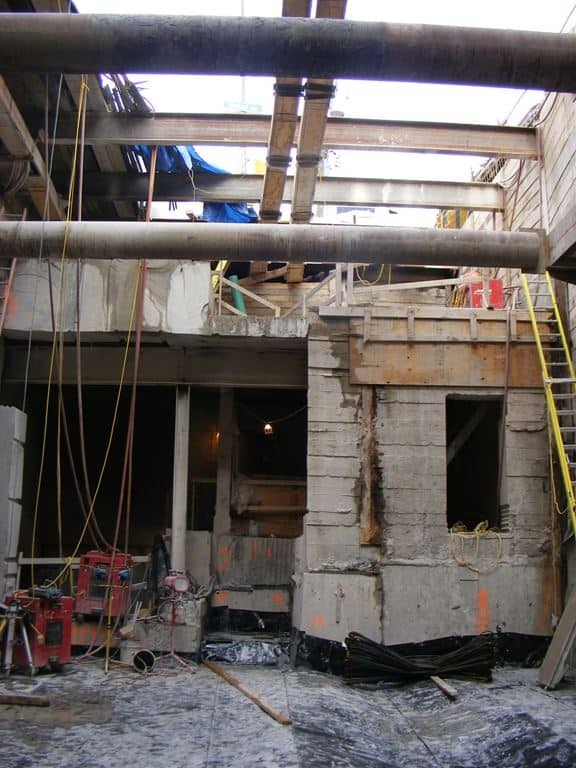 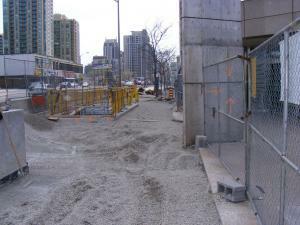 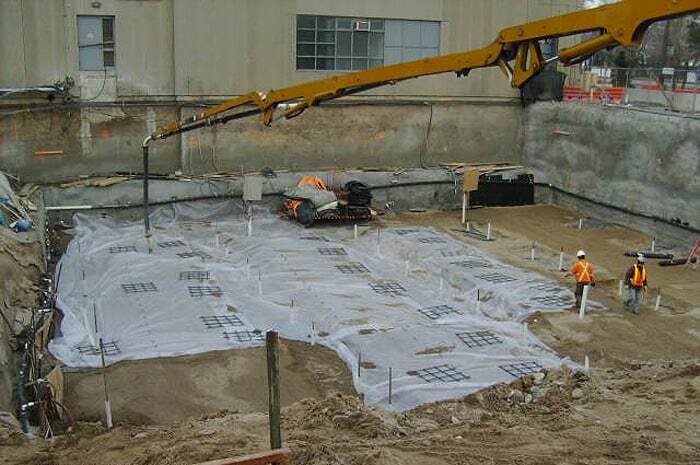 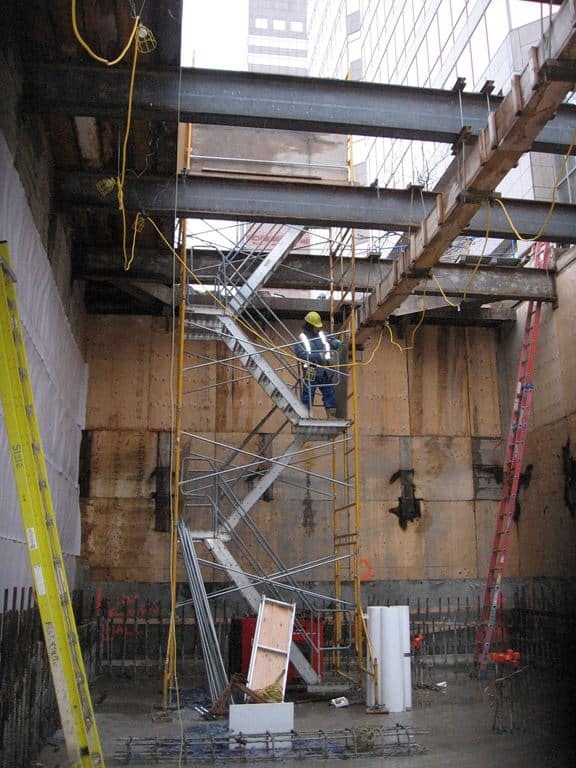 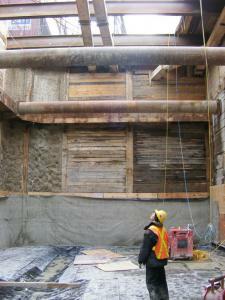 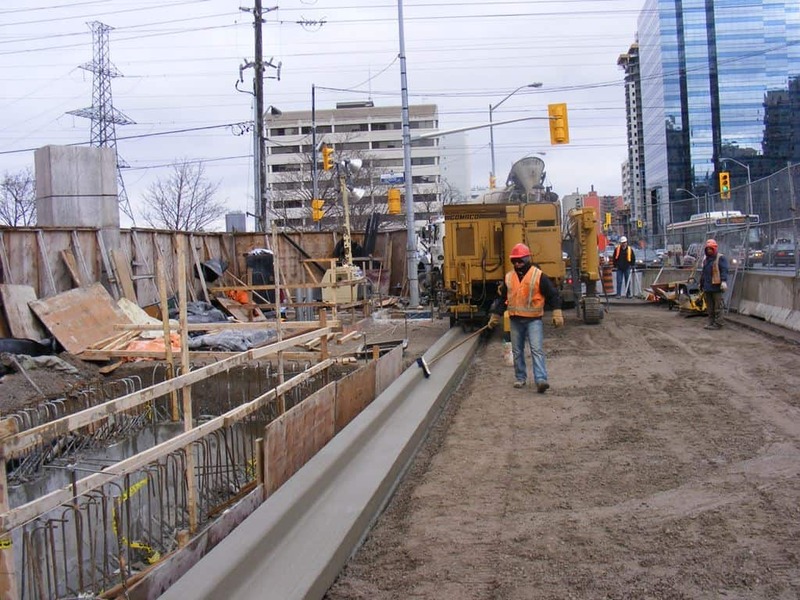 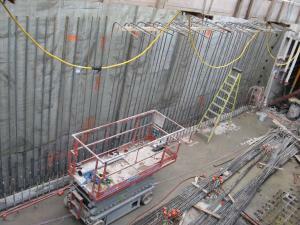 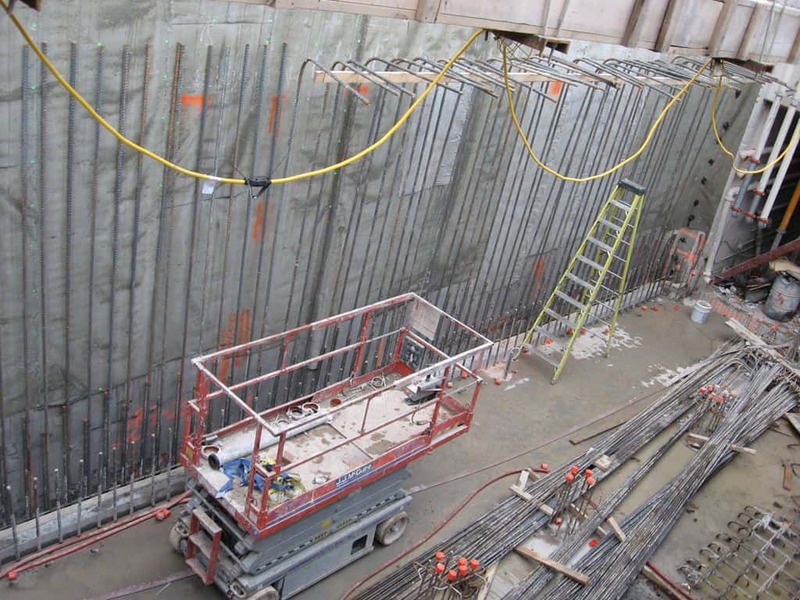 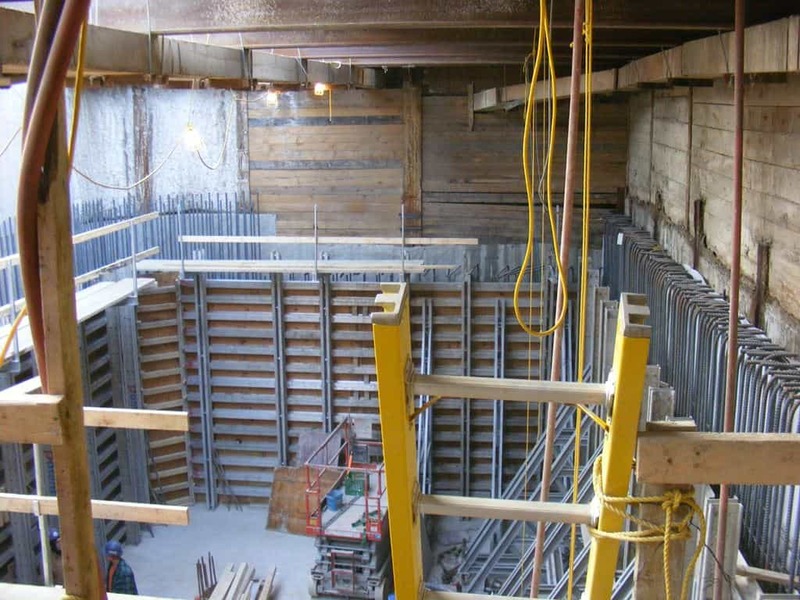 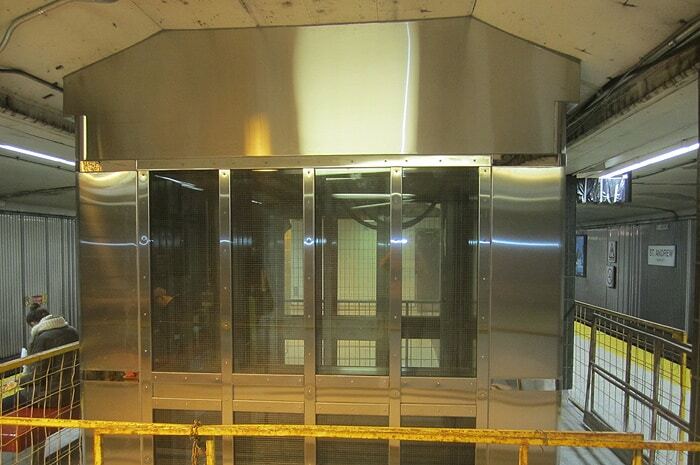 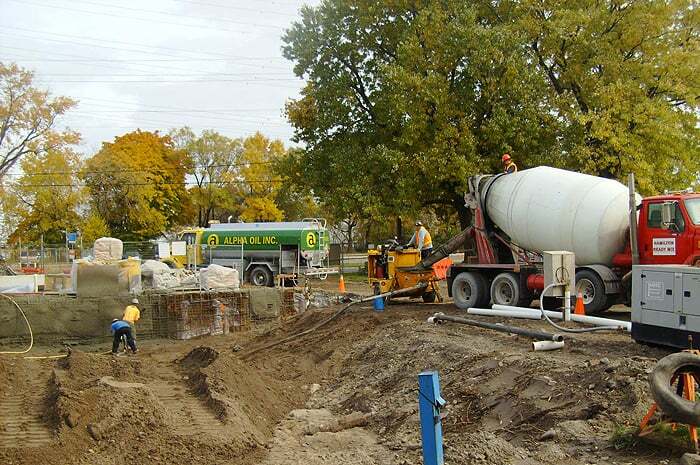 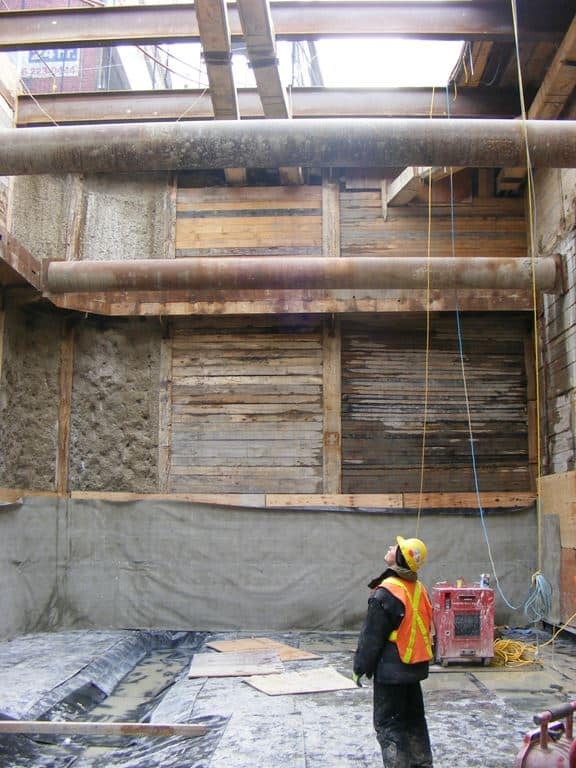 Finch and York Mills Stations were re-worked with existing vent shafts, including shoring and demolition. 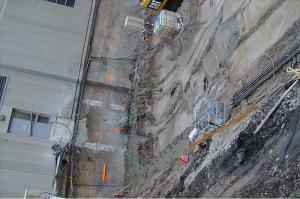 The new shaft was constructed with little disruption to the public and owners daily operations. 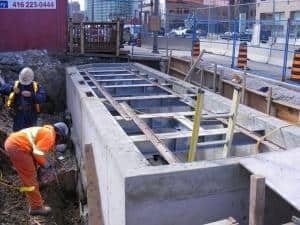 The rail track work included new structural support steel and removal of the existing structure to allow more air movement and future expansion. 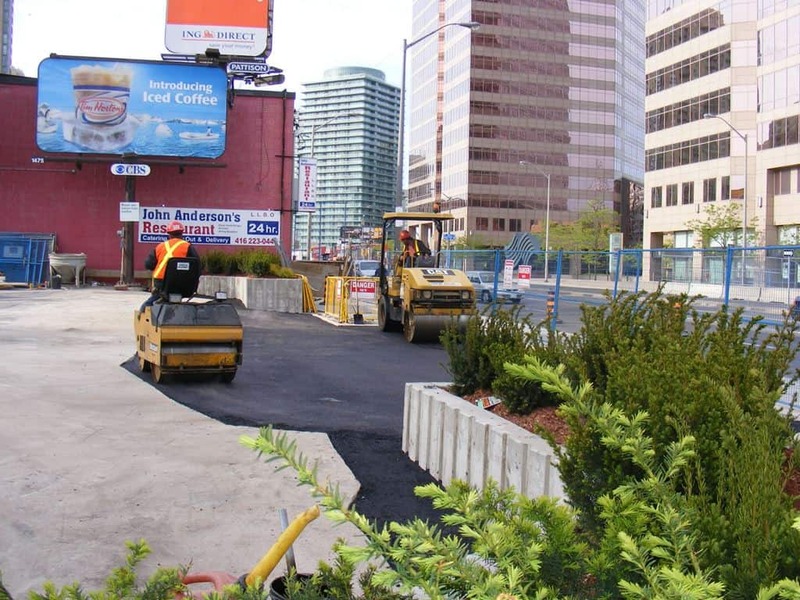 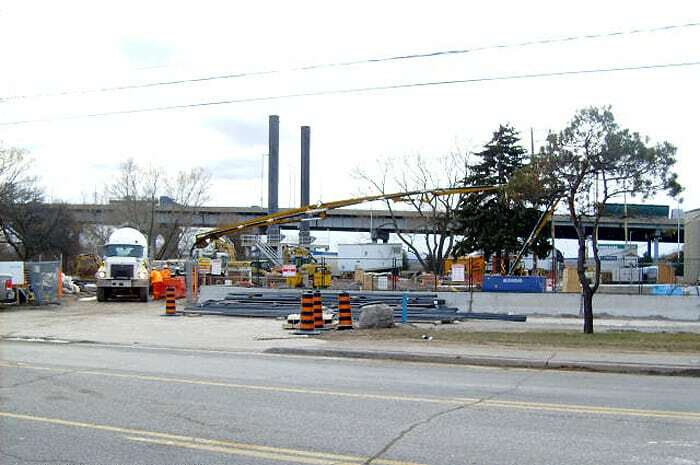 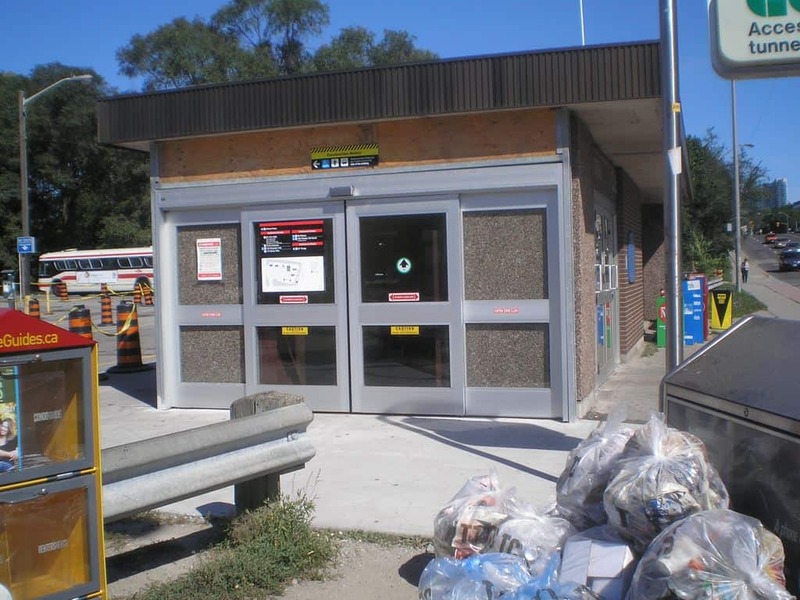 St. Andrew Station required (2) new elevator shafts and elevators, fare gates, A/C units and new electrical upgrades to make the station wheelchair accessible. 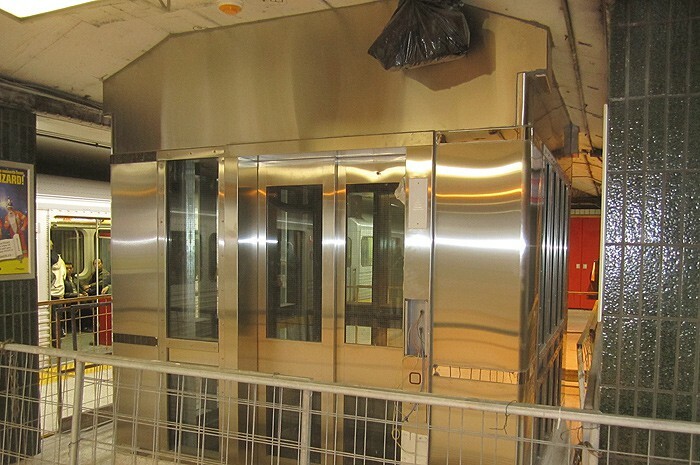 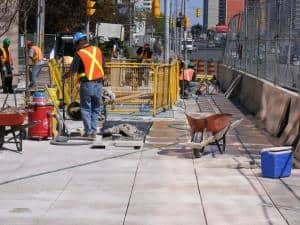 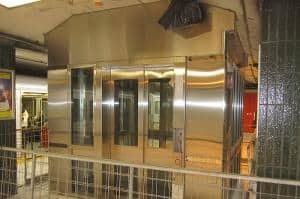 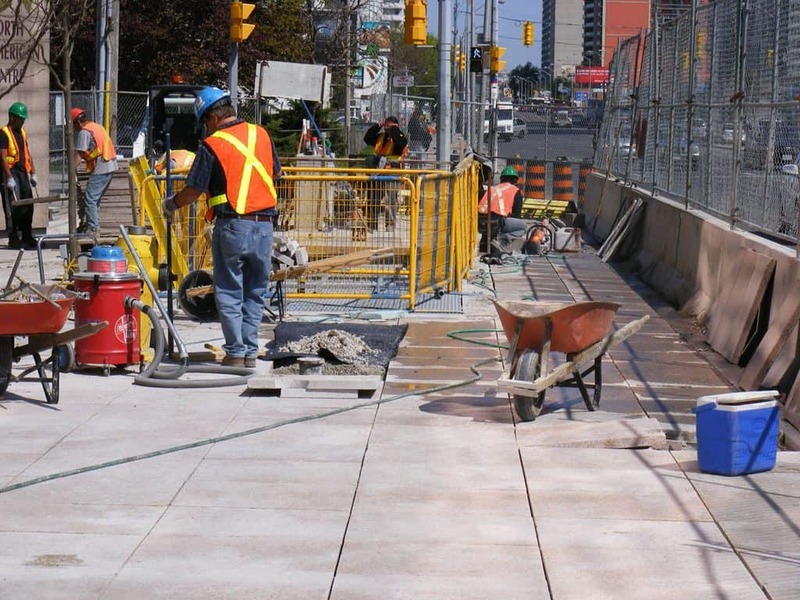 With public transportation vastly growing in the downtown core of Toronto, upgrades are constantly required at TTC Subway Stations to accommodate passengers needs. 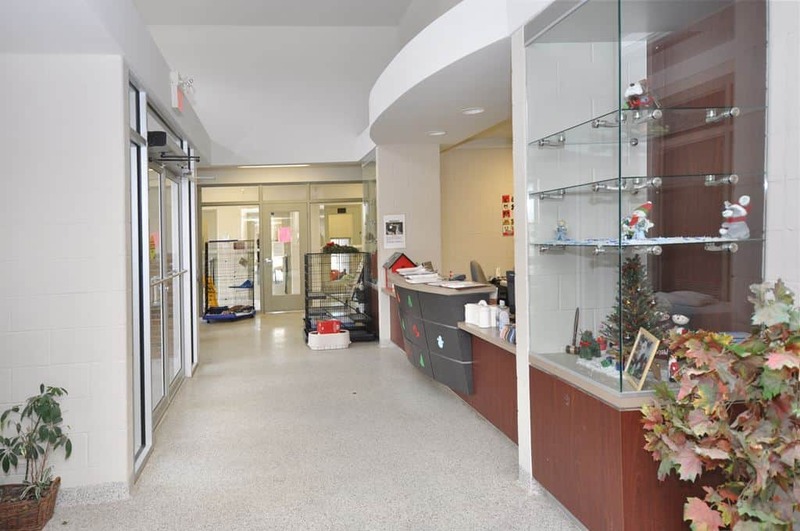 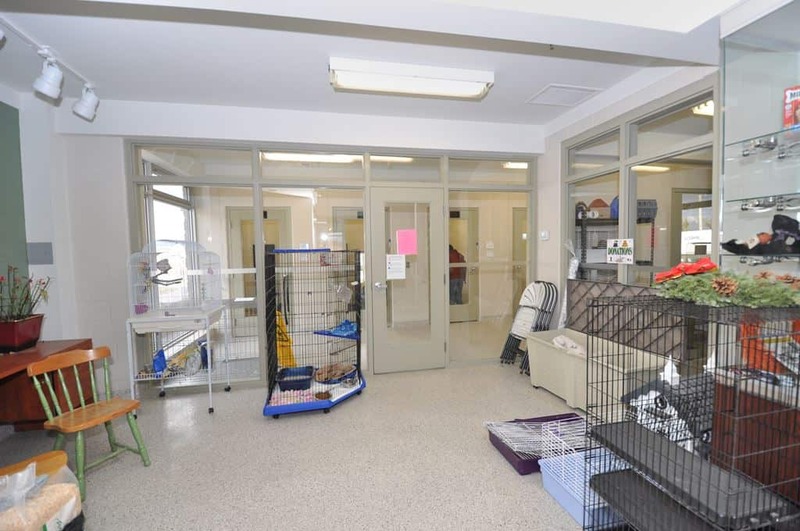 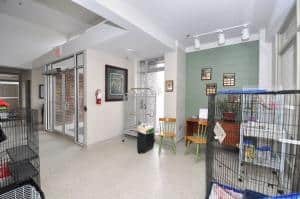 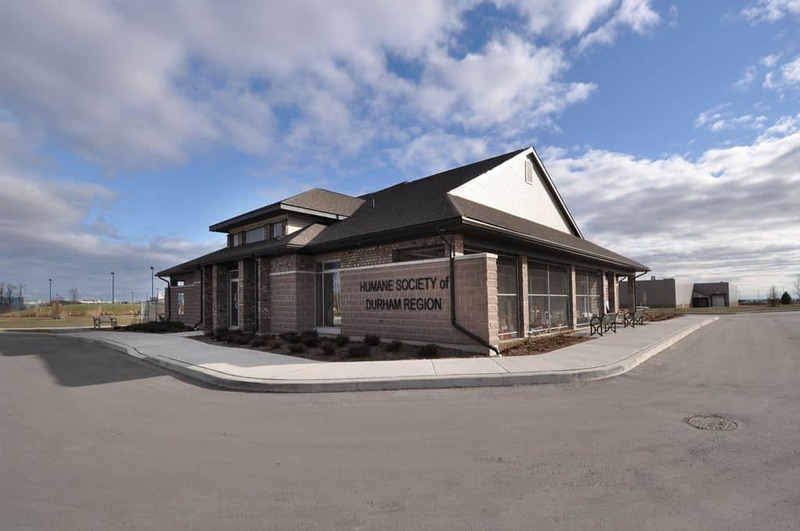 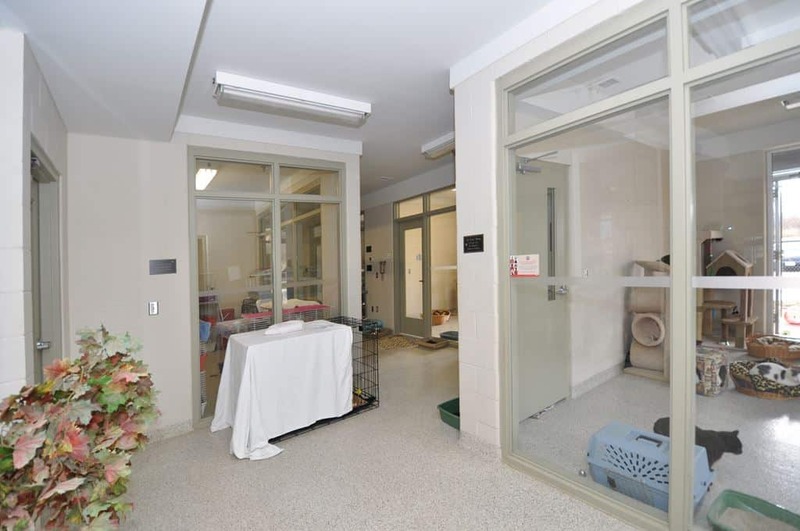 The Humane Society of Durham Region was incorporated by Jim Roughly and Graham McLeod in 1988 to help animals that have been abandoned. 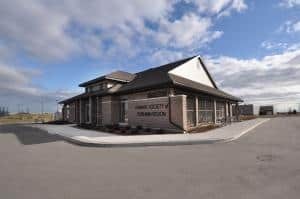 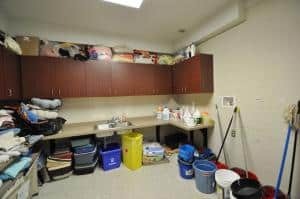 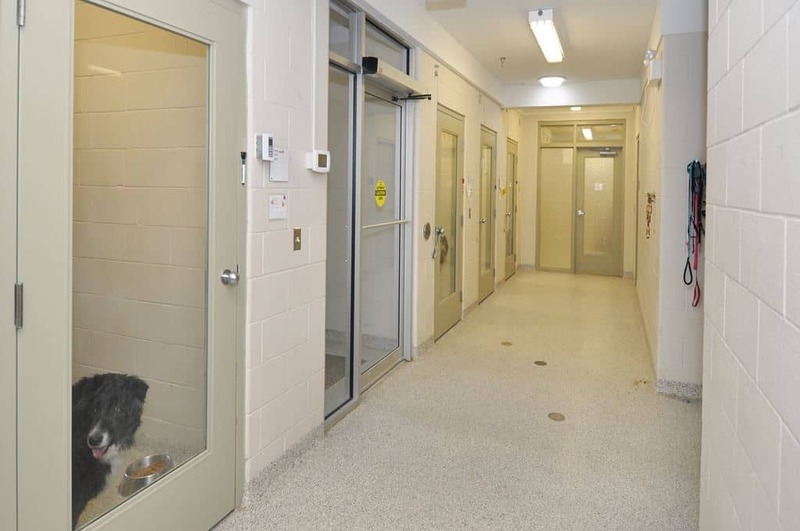 The Humane Society is the only organization in Durham Region that can seize and remove animals, by law, if required. 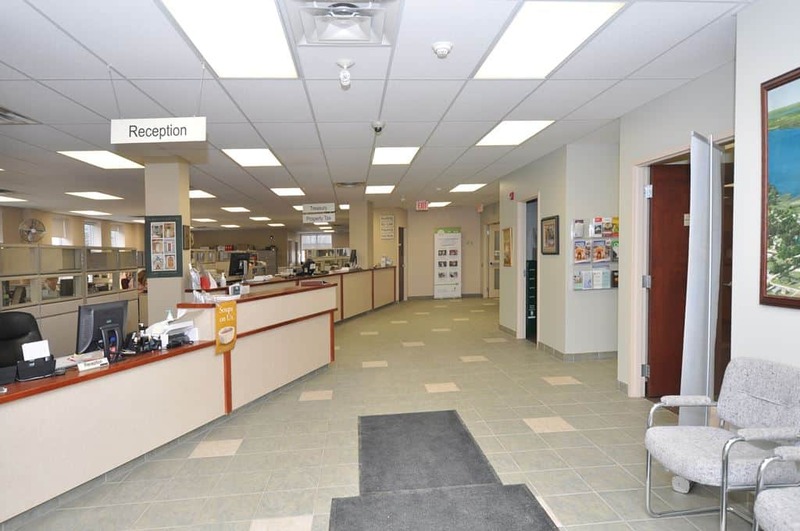 Their operations range from all over Durham Region. 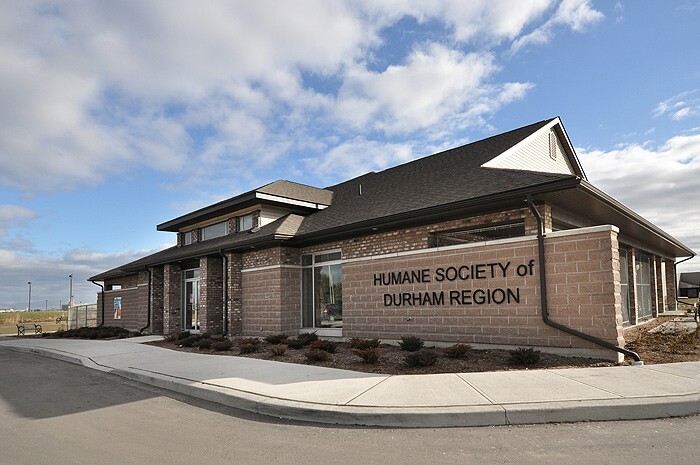 The Humane Society of Durham Region is made up of a Volunteer Board of Directors. As such, operations are run through all charitable donations and fundraisers. 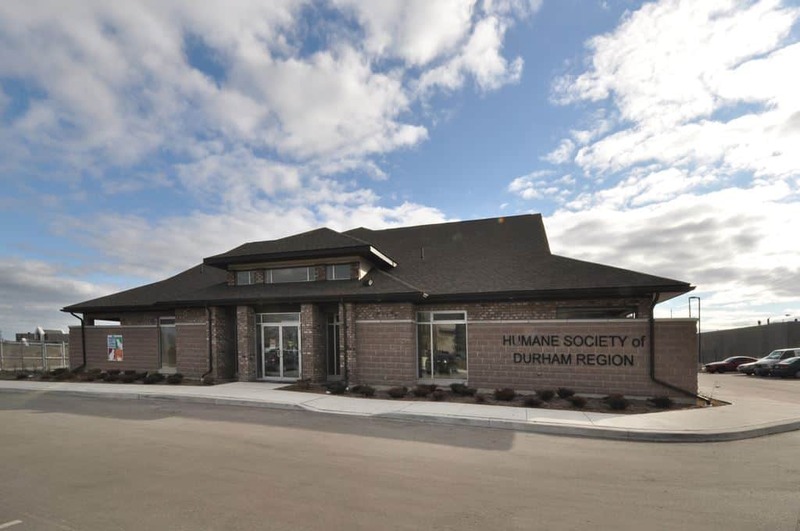 In 2010, J.J. McGuire began the construction of the new home of the Humane Society and its animals. 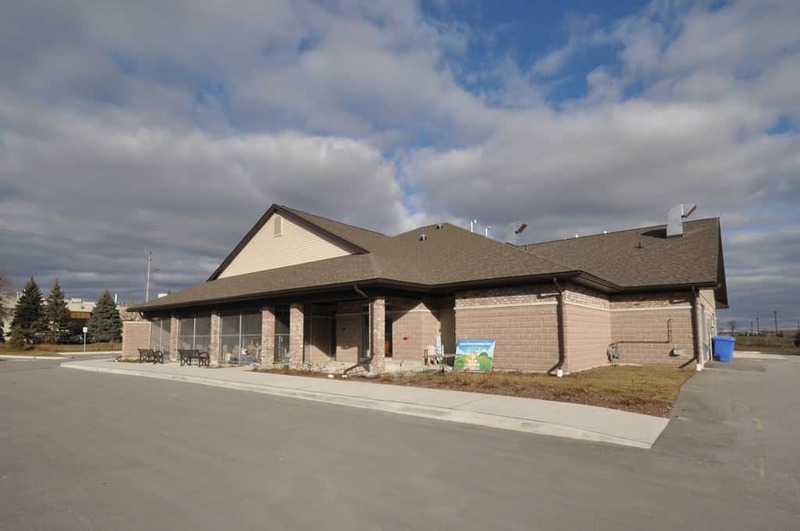 The building consists of concrete foundation walls, architectural block on the exterior, aluminum windows, wood truss roof, asphalt shingle roof, and wood frame construction. 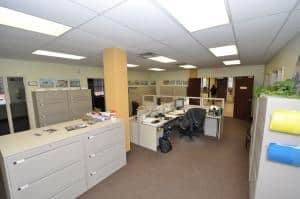 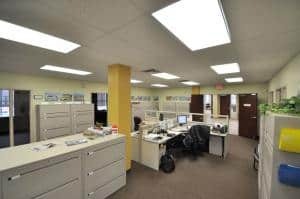 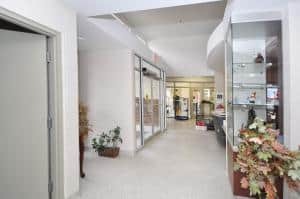 The interior of the building included painted white block walls, drywall bulkheads, glazed hollow metal doors, architectural millwork and new epoxy flooring. 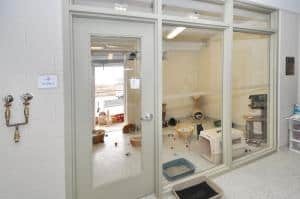 This building was completed on budget and on time to allow the animals to move into their new home. 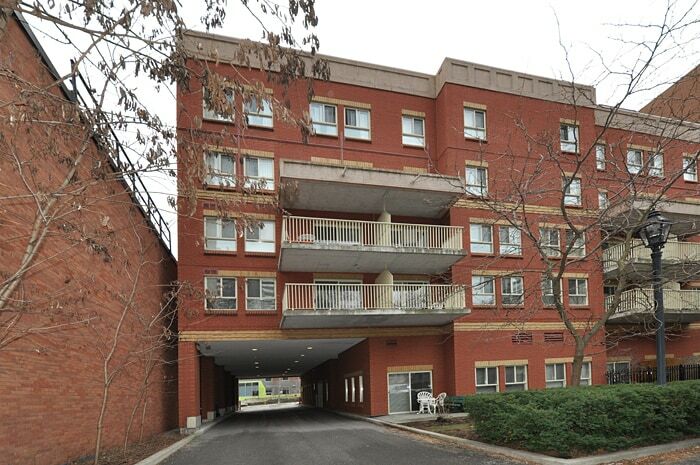 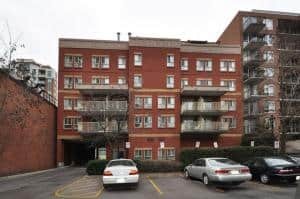 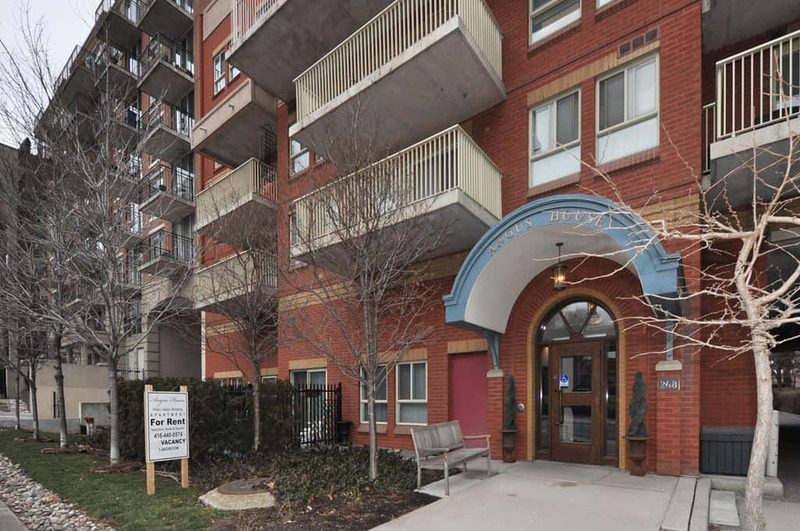 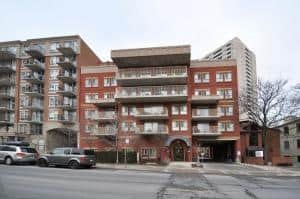 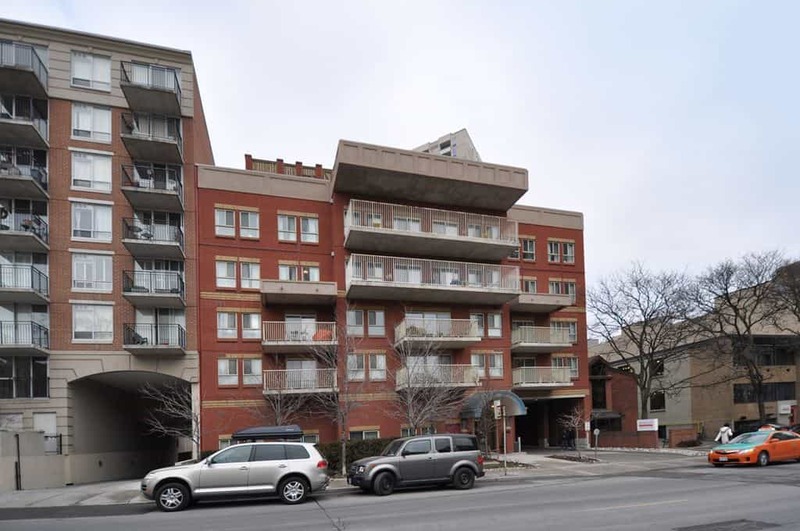 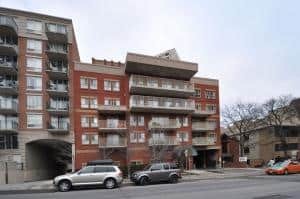 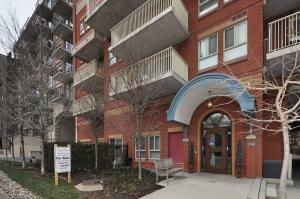 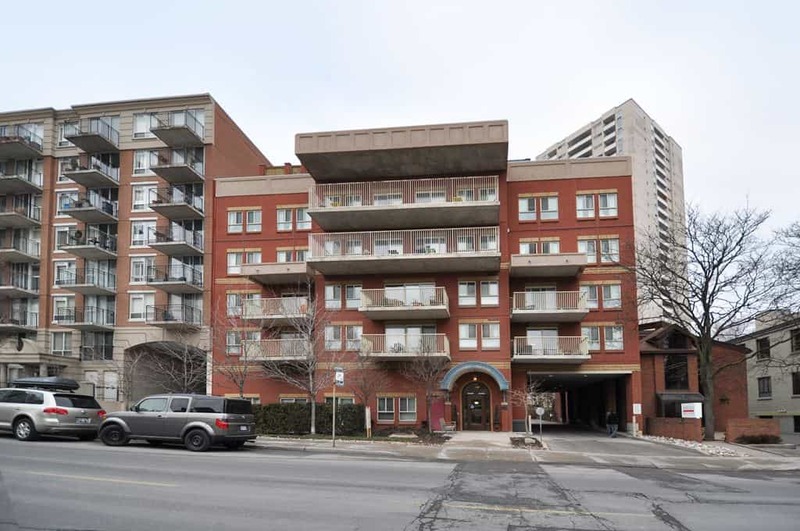 Ewart Angus Homes is a five-story building, consisting of 3 floors of unassisted seniors apartments as well as 2 assisted living floors for Alzheimer patients. 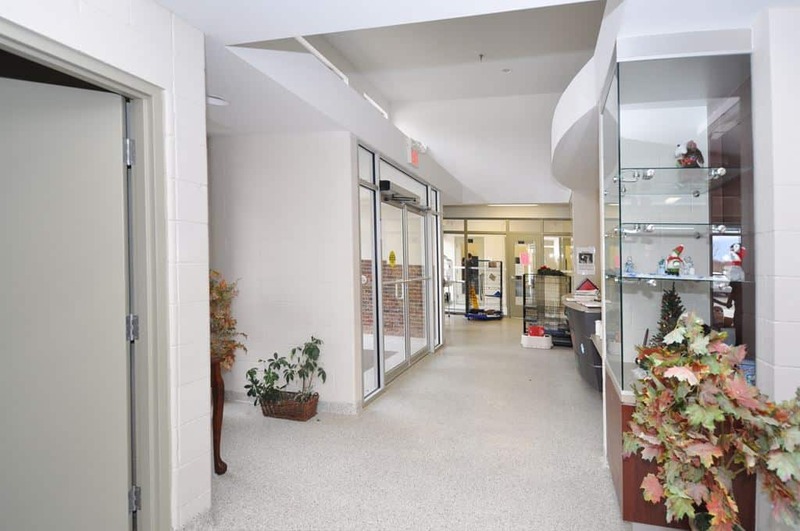 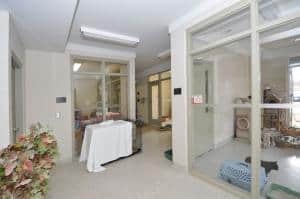 The assisted living rooms include mag lock keyed entry doors, patient call stations, and nurse stations. 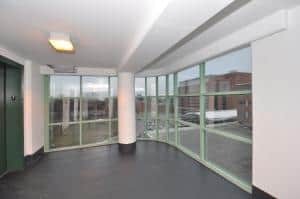 This building also boasts a rooftop garden complete with greenhouse and a wooden shed for the resident's enjoyment. 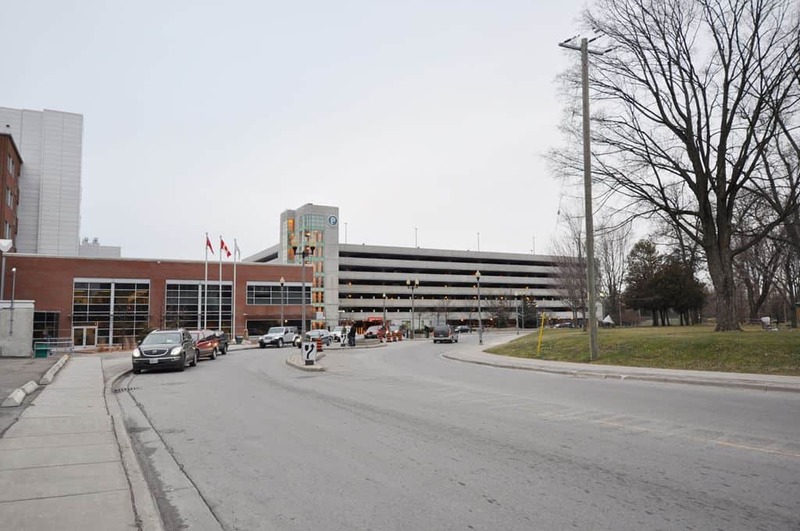 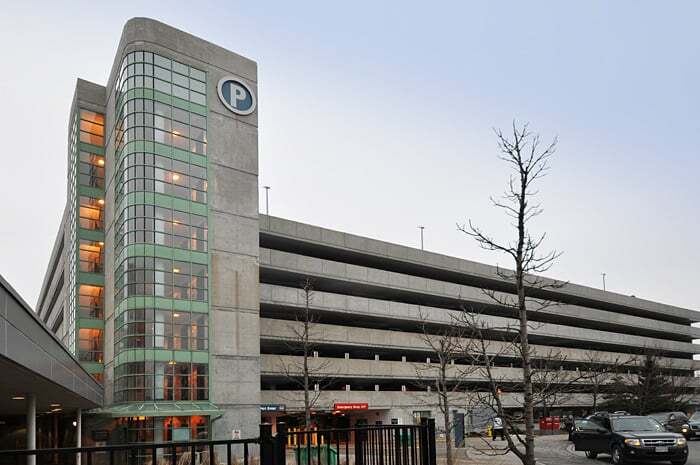 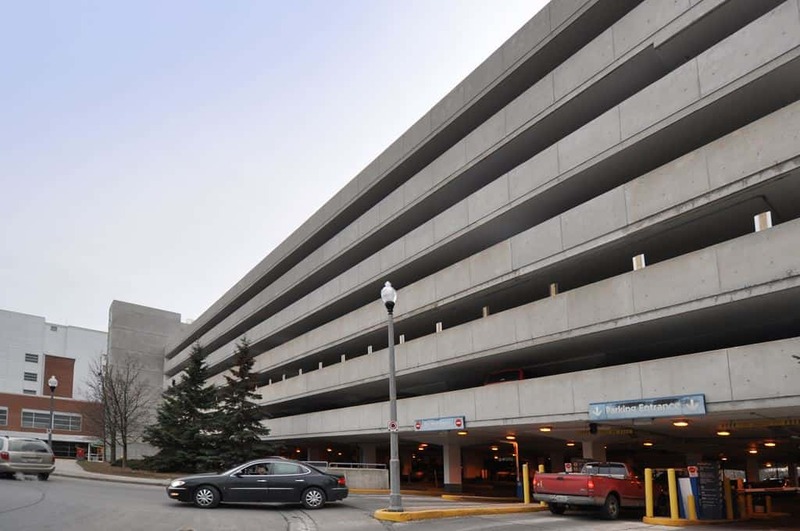 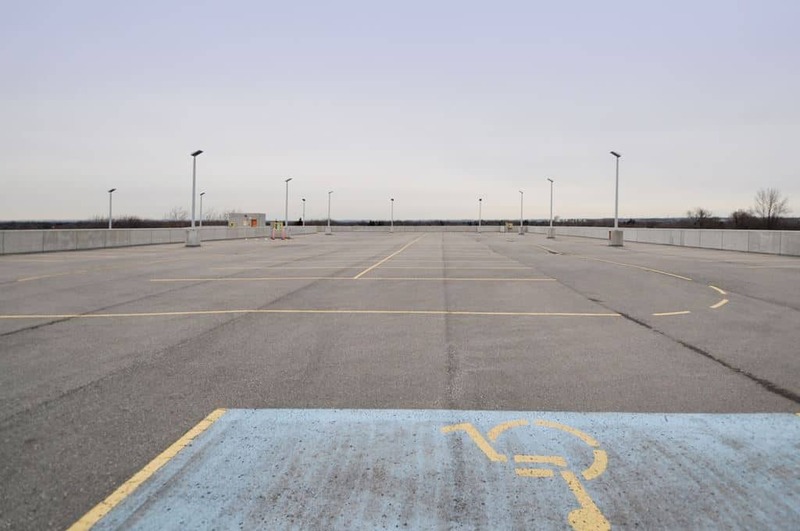 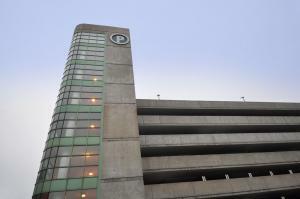 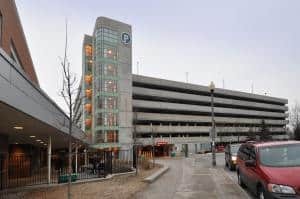 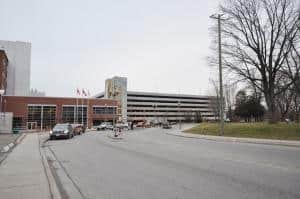 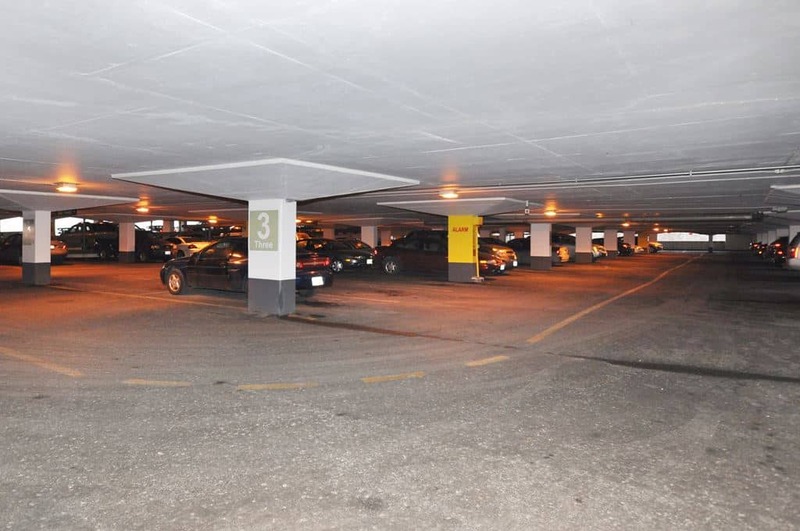 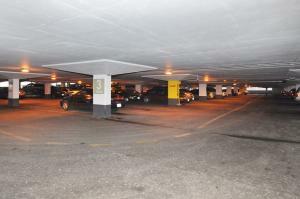 J. J. McGuire was contracted to construct a 3-story vertical addition to the existing 3 stories above ground parking garage at Lakeridge Health Oshawa. 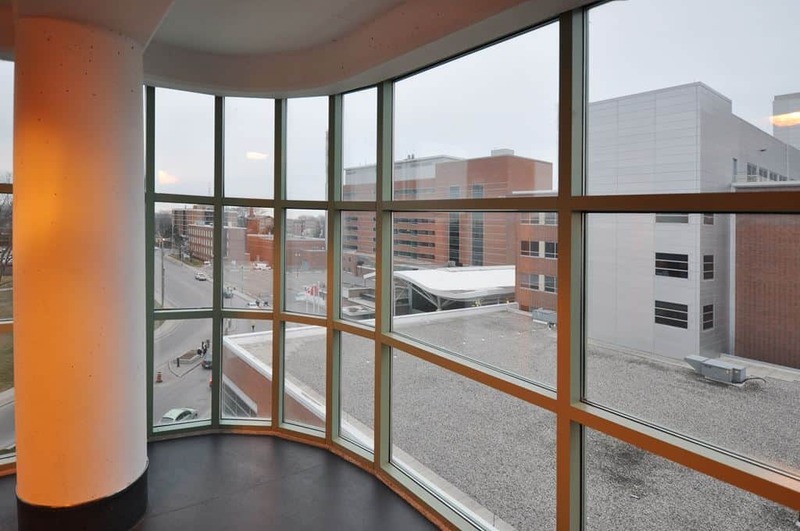 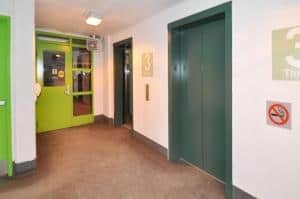 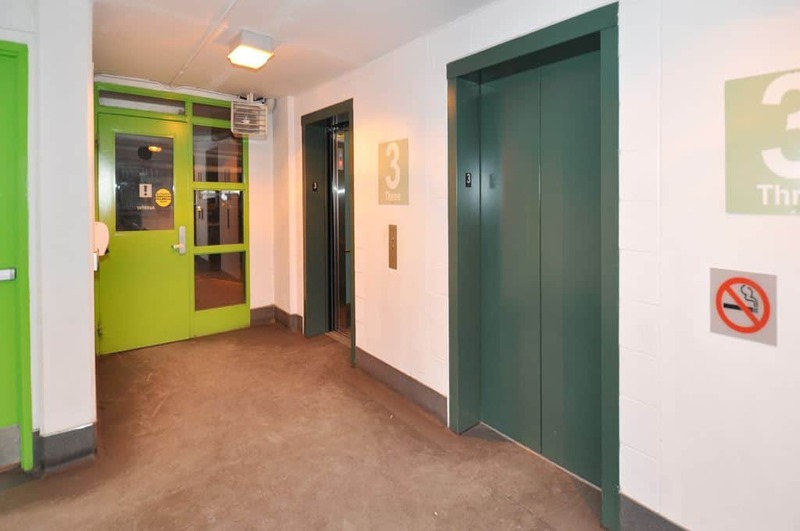 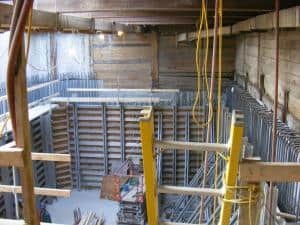 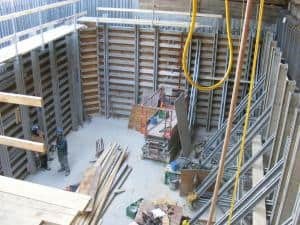 This 3 level poured reinforced concrete structure was approximately 50,000sf and incorporated the installation of two new elevators, mechanical & electrical upgrades, exterior glazing, and lobby finishes. 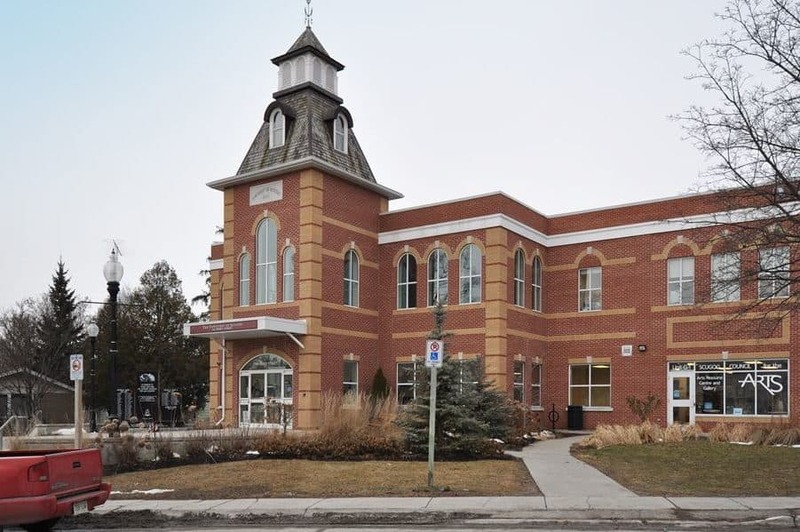 J.J. McGuire was contracted to construct this new 4-story retirement residence in the Town of Port Perry. 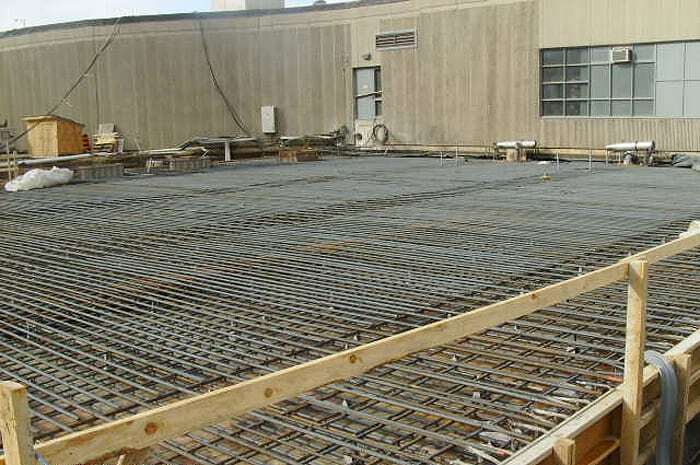 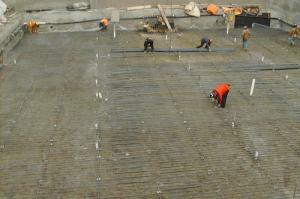 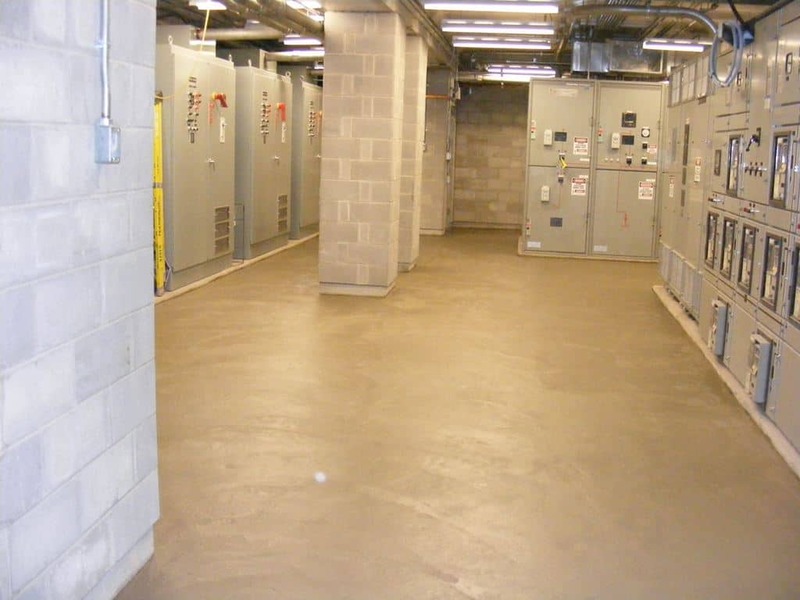 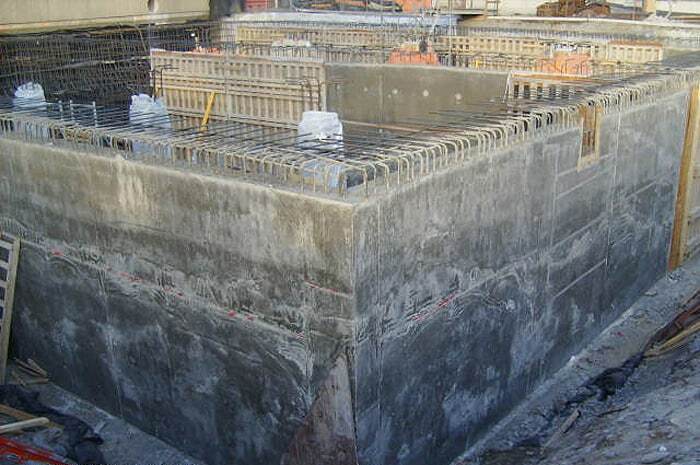 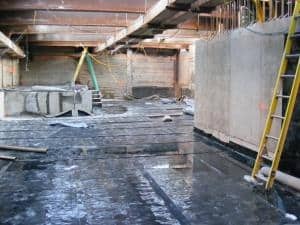 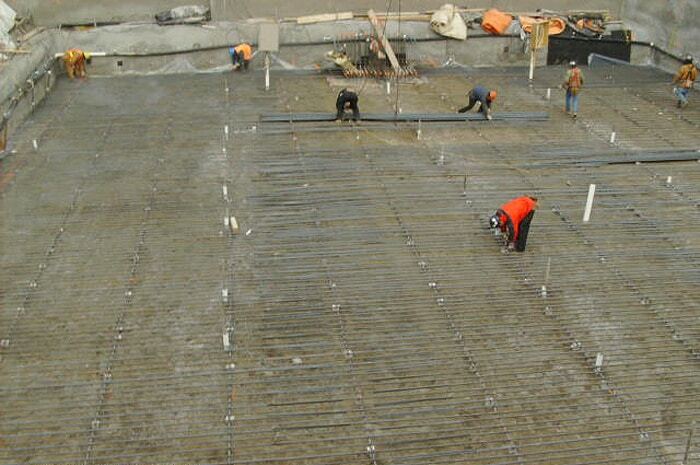 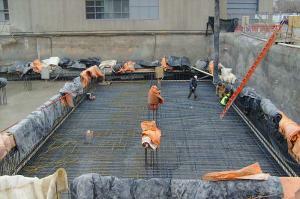 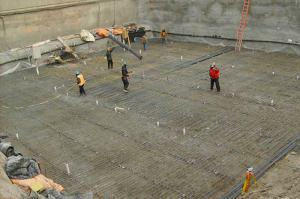 We also performed all concrete work for this poured reinforced concrete structure which is approximately 25,000 sf/floor. 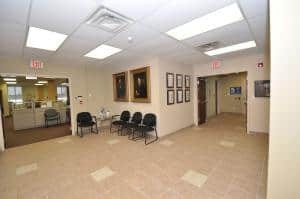 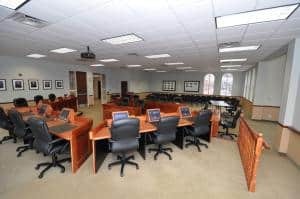 This new state of the art 100 unit facility incorporates a library/lounge, salon/barber shop, doctor’s office, exercise room, chapel, games room, coffee shop, auditorium, and full dining hall complete with kitchen facilities. 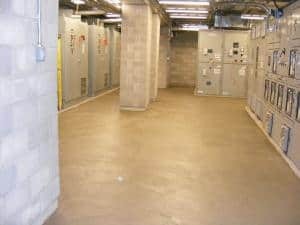 This is a 2 story & basement facility which totals 36,000 SF of floor area. 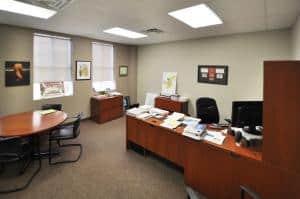 As construction managers, we represent the owner in managing and constructing the complete project from start to finish. 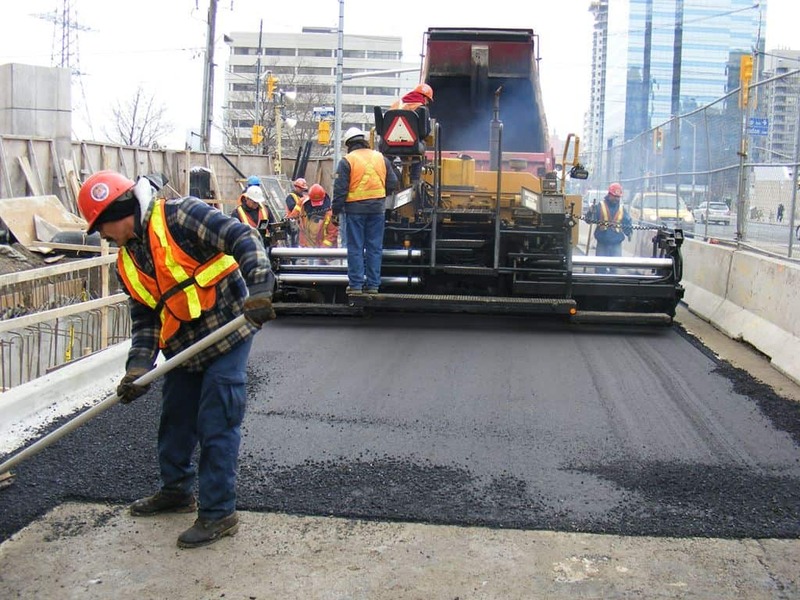 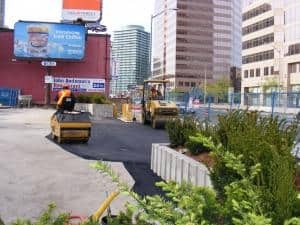 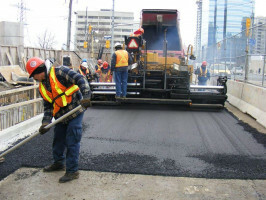 We are in charge of providing the owner with soliciting the best possible price with complete scopes of work and supervising the work to make sure it is done on time and on budget. 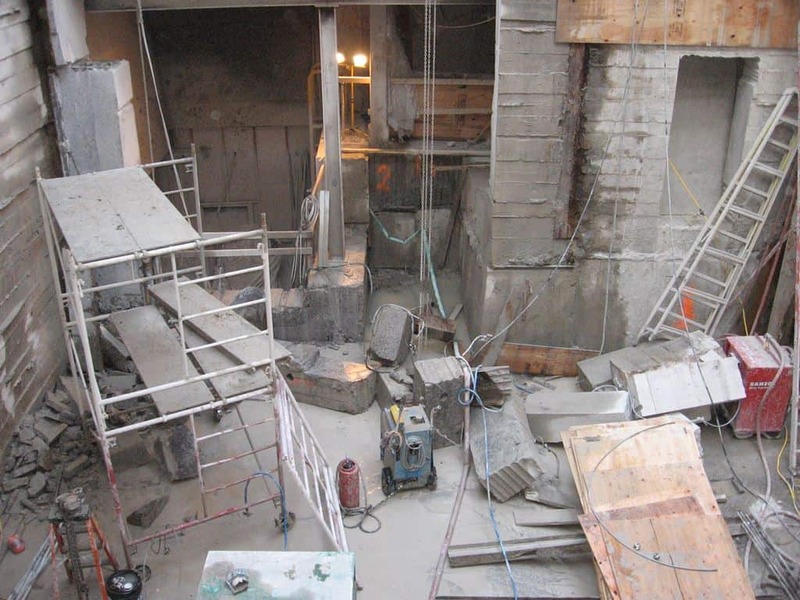 The project is a new medical centre that will house operating facilities in the basement and clinics in the higher floors. 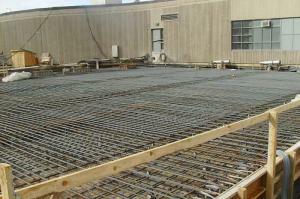 The building is made up of concrete foundations, conventional structural steel and metal deck floor, and roof. The exterior of the building is constructed of composite metal panels, brick and metal siding, with aluminum windows to allow for natural light. 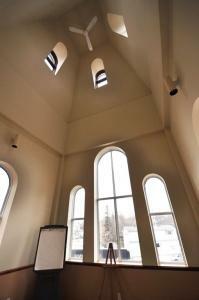 The interior of the building is made of VCT flooring, carpet, steel studs/drywall and acoustical ceilings. 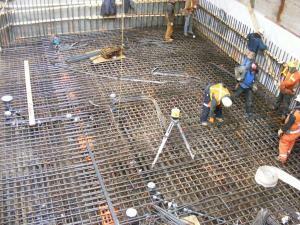 Washrooms will have ceramic flooring. 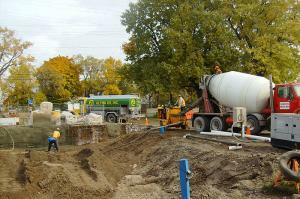 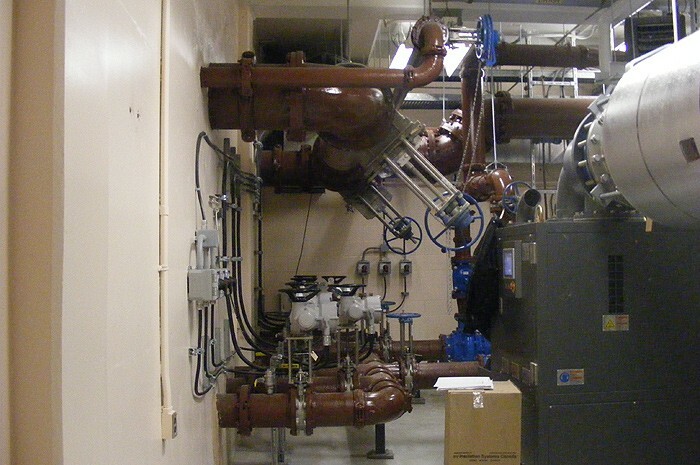 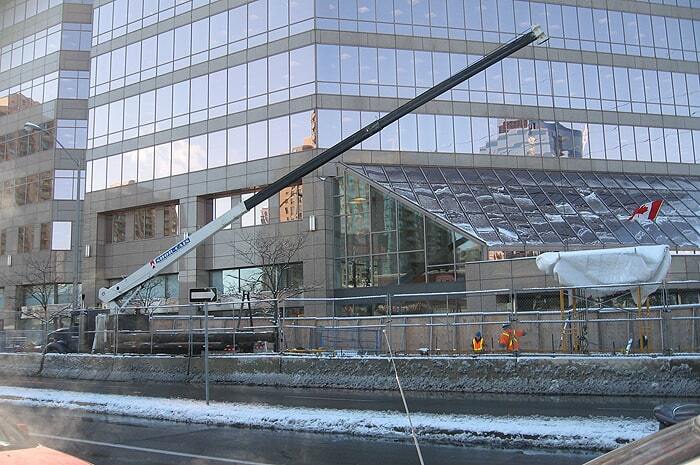 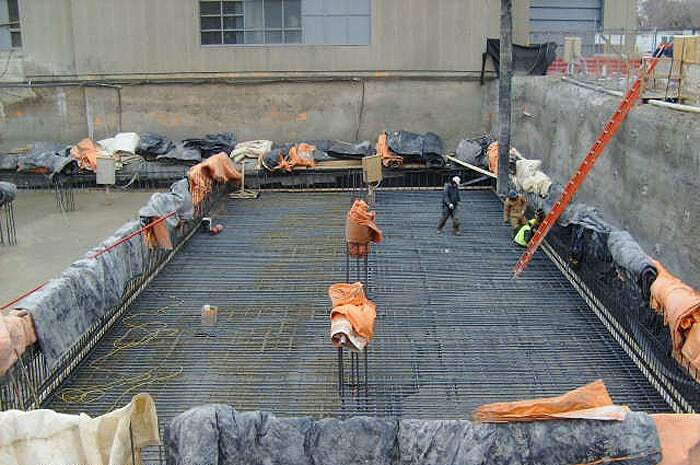 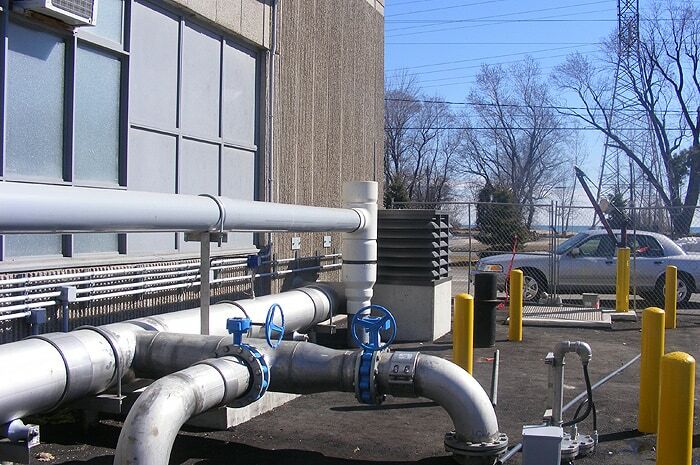 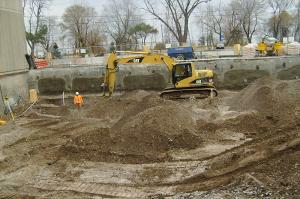 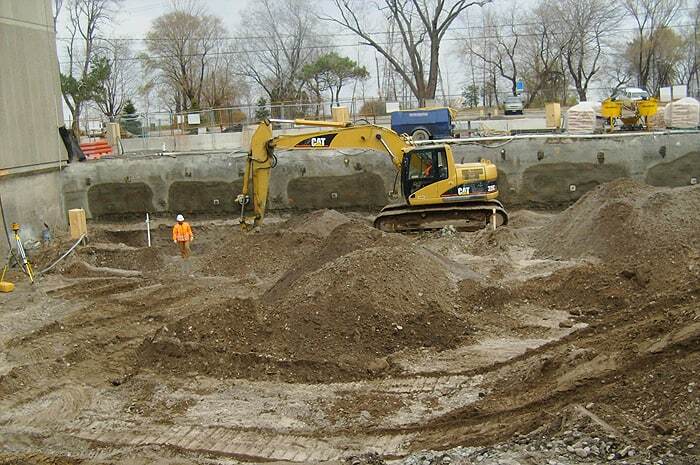 J. J. McGuire has completed various projects at OPG Pickering since 2001 working mainly as a civil contractor. 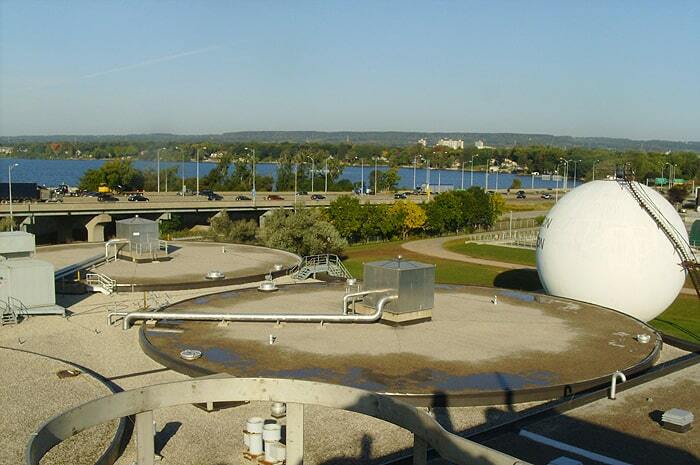 OPG has strict security clearance policies and all staff must be granted security clearance to perform any type of work within OPG grounds.